Imagine Jane. Jane takes drug “A” to treat her high blood pressure. Drug “A” is a name brand drug manufactured by drug maker “B”. Due to drug “A”, Jane develops liver disease. Now imagine John. John takes drug “X” to treat his high blood pressure. Drug “X” is a generic drug manufactured by drug maker “Y”. Due to drug “X”, John develops liver disease as well. As a result of a couple of a couple of United States Supreme Court cases, Jane can sue drug company “B” but John cannot sue drug company “Y”. Simply put, users of name brand drugs can sue over defective drugs but users of generic drugs cannot, even though the two drugs are exact copies. Product liability cases involving drugs fall into one of two categories, the drug was defectively designed (unreasonably dangerous) or the drug did not carry an adequate warning. An inadequate warning case occurs when a drug has side effects that the drug company does not warn of adequately. FDA regulations require that generic drug makers use the exact same formula in generic drugs as compared to the original. The FDA also requires that generic drug makers put the same warnings on generic drugs as compared to the original. In 2011, the Supreme Court ruled that generic drug companies cannot be sued for inadequate drug warnings because the generic drug companies cannot control the warning. In 2013, the Supreme Court ruled that generic drug companies could not be sued for defectively designed drugs because generic drug companies are required by the FDA to use the exact same design in the generic drugs as used in the original. As a result of those rulings, the drug company that invests in the development and testing of new drugs can be sued, but the drug company that copies that innovation cannot. The generic drug companies get all of the profits from the drug without taking any of the responsibility. More recently, there has been a twist on this issue. 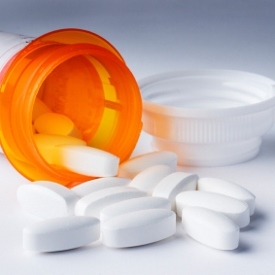 A Federal Court and a State Supreme Court has recently ruled that Plaintiffs who take a dangerous generic drug can sue the original drug maker, even though the Plaintiff took the generic version that was manufactured by a different company. A bed rock of tort law is that a Defendant can only be sued for something it does or in this case, a drug it manufactures. However, these two courts have turned this principle on its head by allowing lawsuits to continue against companies over drugs it did not manufacture. So to add insult to injury, the original drug company can now be sued over generic drugs manufactured by the very same drug company who copied their innovation. However, there is some logic to these rulings. The original drug companies have control over the design of the drug and the warnings as well. The generic company just copies the design and warnings. So even though a Plaintiff takes a generic drug, it is really just an exact copy of the original; so essentially, the generic drug is manufactured by the original company. The FDA has come up with a possible solution. A recently proposed FDA rule would allow generic drug companies to have more input on drug warnings. If passed, this will open generic drug companies up to lawsuits for inadequate warnings on medications. If you are in need of an attorney, please contact our offices at 512-562-7000 or mbe@elyreed.com.